There are less than two-weeks until gift-giving commences, have you prepared? Is your shopping list complete? Do you still need the final touches like stocking stuffers? Or are you like most of us and are completely behind and need to start from scratch? Regardless of your situation, Springboard Media is the one-stop-tech-shop for all your holiday gift needs! From preowned items to stocking stuffers, to repair and installation services, we have it all! Read on to discover how Springboard Media is the ultimate holiday destination. Why not get a great gift for a great price?. We have fantastic offers on lots of pre-owned merchandise ranging from MacBooks to iPads. Here are just a few of our great deals. This 13’’ MacBook Air has 1.4GHz dual-core i5 and 4GB of RAM. At only $599.95 it is a great way to get a great laptop at an even better price. Equipped with an A9 chip, this space gray colored iPad comes with Wifi and cellular and has 128GB of RAM. An iPad for that special someone at a reasonable price is a win-win. Enjoy accurate acoustics with this Sonos One speaker. It connects to your home Wi-Fi network to stream digital music, and has Amazon Alexa built-in for hands-free voice control of your music and other apps. At only $179.95, you can light up your home with holiday music for a great price. Another great offer we have at Springboard to help your holiday shopping is our trade-in policy. Trade up to a new machine and receive excellent trade-in value for your old device. We can accept almost any device and give you store credit towards what you really need. If you have old devices that you are no longer using, do not miss this opportunity. Click here to find out your trade in value now! Don’t let your loved ones dully go through their stockings just to find a new toothbrush. Instead, fill their stockings with items they will actually enjoy! Buy a Popsocket vent mount for $14.95 to provide an excellent iPhone mount for a car. Or fill their stocking with awesome headphones like the Moshi Mythro Earbud for only $29.99. 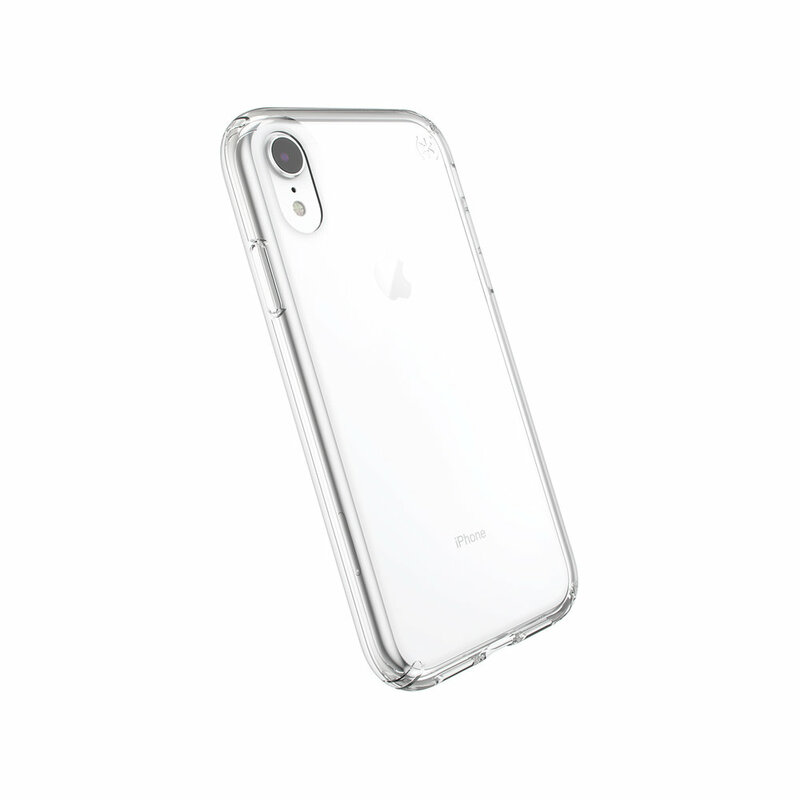 The holidays are also an excellent excuse for a new phone case like the Speck Presidio Stay Clear Xr for $39.95. Popsockets, headphones and phone cases, oh my! Those are just a few of the many great stocking stuffers we have to offer. Come on in and guarantee your loved ones will enjoy their stockings. Sometimes the best gift is not something new, but something fixed. If your Apple devices need a repair or an upgrade, our service team is here to help. As an Apple Premium Service Provider, we deliver the highest quality of service. Ranging from fixing your in-home computer to iPhone screen repairs, our service team gets it done. For your convenience, rentals are available to keep you productive throughout the course of the repair. Not only do we offer repairs we also provide installations. Get a new iMac, and we will install leaving with nothing to worry about besides enjoying your new gift. Either repair or install, Springboard Media is here to ensure your technology runs smoothly this holiday season. See more of our services here. If you are not a tech person and all these products are overwhelming, then no problem. Our team of experts is here to guide you in the right direction. Springboard is a premium Apple Partner, making us experts in all Apple Products. Our staff is also just as well versed in all our brands we sell, and we will lend our technological expertise to help you find the perfect gifts. We also offer financing options for anything in the store. We offer both 6 and 12-month financing options. Our, quick, safe and easy application process through Synchrony Bank can immediately help you finance your holiday purchases. Make an easy payment plan and get great gifts at an affordable price. Whether you need to do your entire holiday shopping or just looking to finish strong, Springboard Media is your one-stop-tech-shop. We have extended our store hours for the Holiday to provide greater flexibility to our shoppers. If you cannot make it into the store, it is important to note that we accept orders over the phone and we also provide delivery. We have a 60-day holiday return policy so if someone needs a different style or color, we'll swap it out for them. Whether you're looking for a great deal on a pre-owned device or wanting to trade in for a new product, or stuff your stockings with cool tech, our team of dedicated professionals will help you with all your holiday needs. Come into Springboard Media this holiday season for all your technology needs.